SKOWHEGAN-Robert E. Chadbourne, 90, formerly of Harmony, died peacefully on Sunday, March 17, 2019, in Skowhegan. Robert was born on January 7, 1929, in Skowhegan, Maine, a son of Merle and Berle (Whittemore) Chadbourne. He proudly served our country in the United States Army. He was a hand sewer of shoes for many years, working from Maine to Texas. Bob always liked a good deal. He enjoyed bartering and dickering with others. He and Roberta took five special trips to Alaska. He would do the fishing and she would do the canning. They were a great team, spending 62 years together. He is survived by his loving wife, Roberta Preece Chadbourne of Skowhegan; children: Tim Chadbourne and wife Wanda of Skowhegan, Sheila Chadbourne and companion Dave Miller of Albion, Carol Chadbourne of Newport, Bob Chadbourne and wife Kim of Skowhegan and Jon Chadbourne and husband Tim Parritt of Boston, MA; grandchildren: Becky and husband Travis, Shawna, Victoria and husband Ed, Matthew and wife Bryonna, Isaac, Luke, Shawn and Colby; great-grandchildren: Carroll, Steven, James, Owen, Jasmin, Julia and Liberty; sister-in-law Gerry Chadbourne of Gardner; and many nieces and nephews. He was predeceased by his parents; his siblings and their spouses: Willard and Una Chadbourne, Warren and Christine Chadbourne, Wingate and Louise Chadbourne, Ivan and Joan Chadbourne, Arthur Chadbourne, Archie and Jackqueline Chadbourne; Mildred and Charles Deering, Arrita and Howard Annis, Irene and Clarence McKay, Florence and Louis Sinclair, Clarence and Julia Libby, Ray Libby and Madeline and George Corey. A heartfelt thank you to the staff at Cedar Ridge for their wonderful care of Bob over the last four years. A special recognition to Vanessa, Eileen, Diane, Jamie, Leni and the nurses and CNA’s of D and C houses. 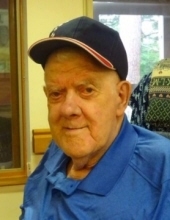 Should friends desire, memorial donations may be given to the Cedar Ridge Nursing Home Activites Fund, 23 Cedar Ridge Drive, Skowhegan, ME, 04976. The family will receive friends from 11-noon, with a funeral at noon, Saturday, March 23, 2019, at the Shorey-Nichols Funeral Home, 191 Hartland Avenue, Pittsfield. Military honors will be presented for his service to our country. A gathering will follow in the funeral home. A committal will be held in the spring at the Sugar Hill Cemetery, Sugar Hill Road, Harmony. To send flowers or a remembrance gift to the family of Robert E. Chadbourne, please visit our Tribute Store. "Email Address" would like to share the life celebration of Robert E. Chadbourne. Click on the "link" to go to share a favorite memory or leave a condolence message for the family.